So I said to them, 'The word of the Lord came to me: Say to the people of Israel, This is what the Sovereign Lord says: "I am about to desecrate my sanctuary — the stronghold in which you take pride, the delight of your eyes, the object of your affection. The sons and daughters you left behind will fall by the sword." ' "
On the day Nebuchadnezzar began his siege of Jerusalem (January 15, 588 BC) the Lord gave Ezekiel a second message. The first message with a demonstration for the people to watch was the parable of the boiling pot (Ezekiel 24:1-14). The Lord told Ezekiel that his wife, the delight of his eyes, would be taken (die) “with one blow.” The use of the phrase “with one blow” is a translation of a word (Heb. magephah) that referred to a plague or disease (Ex. 9:14; Num. 14:37) and a sudden death (1 Sam. 4:17; 2 Sam. 17:9). Ezekiel is forbidden to mourn for his wife. Although Ezekiel is allowed to weep and groan quietly (privately), there is to be no public demonstration of sorrow and no visible signs that Ezekiel is grieving the loss of the wife he loved. The captives in Babylon would observe Ezekiel’s strange and coarse response to his wife’s death and ask, “Why?” Ezekiel’s personal tragedy is turned into a symbol and a sign for the people. This sign is acted out and explained to the people concerning their own cultural situation and the response that will be received when the Lord’s temple, his own sanctuary, in Jerusalem is destroyed. Basic social behavior has broken down in Jerusalem. There will be no funerals and no mourning for the multitude of the dead people as was prophesied by Jeremiah. The Lord’s own temple will be destroyed and overrun by pagans with no one left in the city to mourn the loss. Qanah (Hb) - buy (Eng) - The Hebrew word qanah means “to get,” “to acquire” and “to create.” In Genesis 4:1 qanah refers to God’s creative act of bringing something into existence. In Deuteronomy 32:6 the Lord qanah Israel. The personification of Wisdom is credited with qanah of creation in Proverbs 8:22-36. "Instead of looking for heroes, be one and help other people shine." During the days of the Judges (and, the book of Ruth) contracts were negotiated in the city gates where a crowd of men and elders would gather. Legal agreements were sealed by one of the men removing their sandal (Ruth 4:7). This practice came from the Nuzi culture and is documented in the Nuzi Tablets where the image of the sole of a man’s foot stands on his property. In the Mesopotamian culture that came into the land of Canaan a man who was selling his land would lift his foot up from his land and have the other man’s foot placed on the land. The removing of the sandal captures this image. Notice the wording of Psalm 60:8 (and Psalm 108:9) where the Lord claims possession of a land by casting his sandal over the land of Edom. 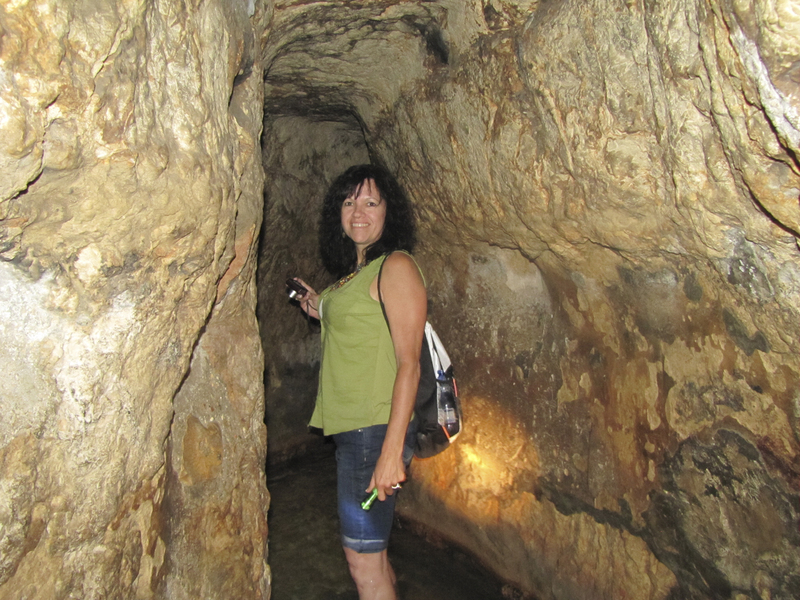 In 2 Kings 2:19-20 the water at the spring in Jericho is contaminated. This spring has supplied the area of Jericho with fresh water for centuries and was known to create a fertile region even in Deuteronomy 34:3 where it is called “the City of Palms.” Excavations have revealed a tower from the Neolithic period and indications that Jericho was a settled city around 9000 BC. 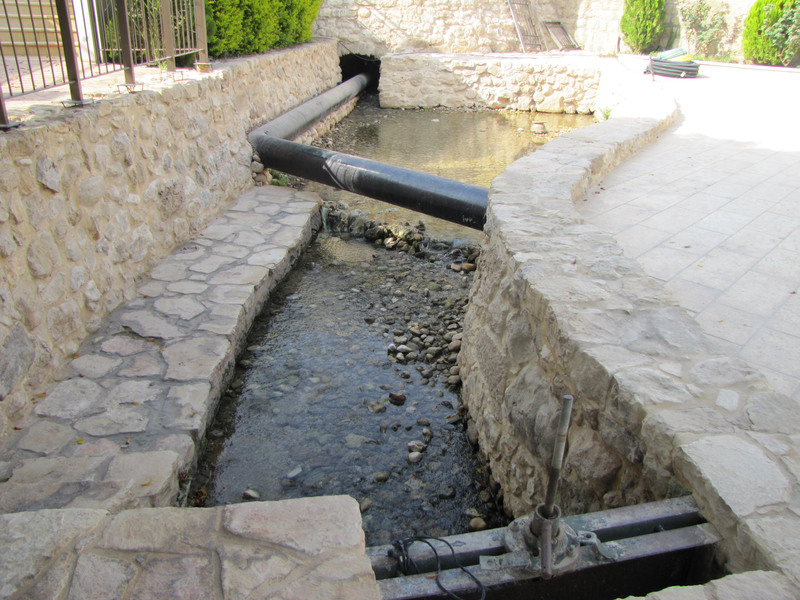 The spring that Elisha miraculously restored in 2 Kings 2:19-20 is still flowing today. It is called the spring of ‘Ain es-Sultan, and has been known as “Elisha’s Fountain" since the days of the Crusaders. will be cursed by peoples and denounced by nations." “See, I will stir up the spirit of a destroyer against Babylon and the people of Leb Kamai. “Flee from Babylon! Run for your lives! Do not be destroyed because of her sins. It is time for the Lord’s vengeance; he will repay her what she deserves. “Sharpen the arrows, take up the shields! The Lord has stirred up the kings of the Medes, because his purpose is to destroy Babylon. The Lord will take vengeance, vengeance for his temple. You who live by many waters and are rich in treasures, your end has come, the time for you to be destroyed. The Lord Almighty has sworn by himself: I will surely fill you with troops, as with a swarm of locusts, and they will shout in triumph over you. “He made the earth by his power; he founded the world by his wisdom and stretched out the heavens by his understanding. “Everyone is senseless and without knowledge; every goldsmith is shamed by his idols. The images he makes are a fraud; they have no breath in them. He who is the Portion of Jacob is not like these, for he is the Maker of all things, including the people of his inheritance— the Lord Almighty is his name. 24 “Before your eyes I will repay Babylon and all who live in Babylonia for all the wrong they have done in Zion,” declares the Lord. “I am against you, you destroying mountain, you who destroy the whole earth,” declares the Lord. “I will stretch out my hand against you, roll you off the cliffs, and make you a burned-out mountain. “Lift up a banner in the land! Blow the trumpet among the nations! 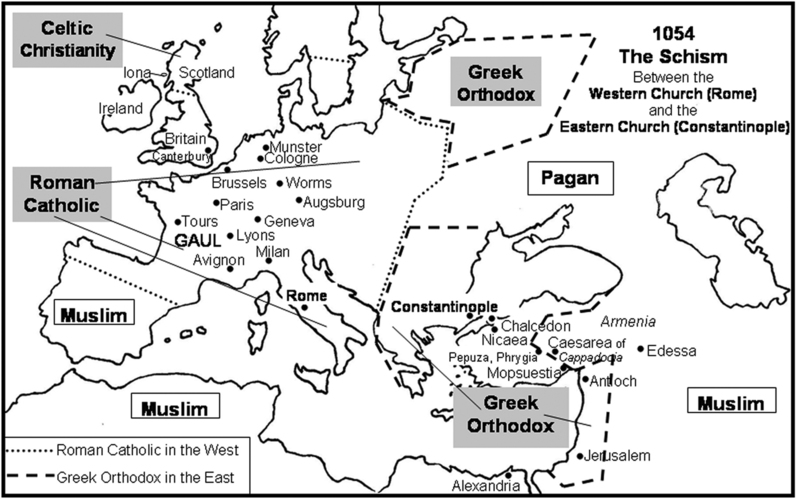 Prepare the nations for battle against her; summon against her these kingdoms: Ararat, Minni and Ashkenaz. Appoint a commander against her; send up horses like a swarm of locusts. Prepare the nations for battle against her— the kings of the Medes, their governors and all their officials, and all the countries they rule. The land trembles and writhes, for the Lord’s purposes against Babylon stand— to lay waste the land of Babylon so that no one will live there. Babylon’s warriors have stopped fighting; they remain in their strongholds. Their strength is exhausted; they have become weaklings. Her dwellings are set on fire; the bars of her gates are broken. “Nebuchadnezzar king of Babylon has devoured us, he has thrown us into confusion, he has made us an empty jar. Like a serpent he has swallowed us and filled his stomach with our delicacies, and then has spewed us out. May the violence done to our flesh be on Babylon,” say the inhabitants of Zion. “May our blood be on those who live in Babylonia,” says Jerusalem. “See, I will defend your cause and avenge you; I will dry up her sea and make her springs dry. But while they are aroused, I will set out a feast for them and make them drunk, so that they shout with laughter— then sleep forever and not awake,” declares the Lord. “I will bring them down like lambs to the slaughter, like rams and goats. “How Sheshak will be captured, the boast of the whole earth seized! How desolate Babylon will be among the nations! Her towns will be desolate, a dry and desert land, a land where no one lives, through which no one travels. “Come out of her, my people! Run for your lives! Run from the fierce anger of the Lord. Then heaven and earth and all that is in them will shout for joy over Babylon, for out of the north destroyers will attack her,” declares the Lord. “Babylon must fall because of Israel’s slain, just as the slain in all the earth have fallen because of Babylon. “But days are coming,” declares the Lord, “when I will punish her idols, and throughout her land the wounded will groan. Even if Babylon ascends to the heavens and fortifies her lofty stronghold, I will send destroyers against her,” declares the Lord. “The sound of a cry comes from Babylon, the sound of great destruction from the land of the Babylonians. I will make her officials and wise men drunk, her governors, officers and warriors as well; they will sleep forever and not awake,” declares the King, whose name is the Lord Almighty.